A police inspector who wants nothing to do with police work other than to push papers is forced back into the field when a rich man is found dead. His boss wants him to use his tact and finesse to a solution to the case. However things become complicated when his daughter has been brought in for firing off a gun in the middle of the night. A great looking film with a frequently wonderful sound design this is more a character study then a real mystery. 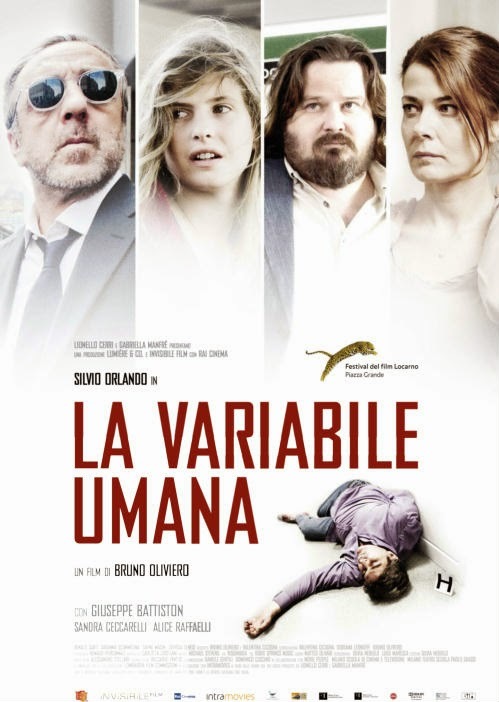 The film is uniformly well acted by the entire cast that's headed by Silvio Orlando as the inspector. As I said above this is more a character study of the inspector who is still grieving for his wife and largely disconnected from his daughter. The result of it is that two or three clues in you kind of know where this is going and you just have to wait to see how it all plays out. How does it play out? Okay. There is nothing earth shaking here and if nothing else it held my attention all of the way to the end. I know that's not a ringing endorsement but when you consider how many films I skip through to the end it is. The film plays later today (4pm) and tomorrow. For details and tickets go to the website here.